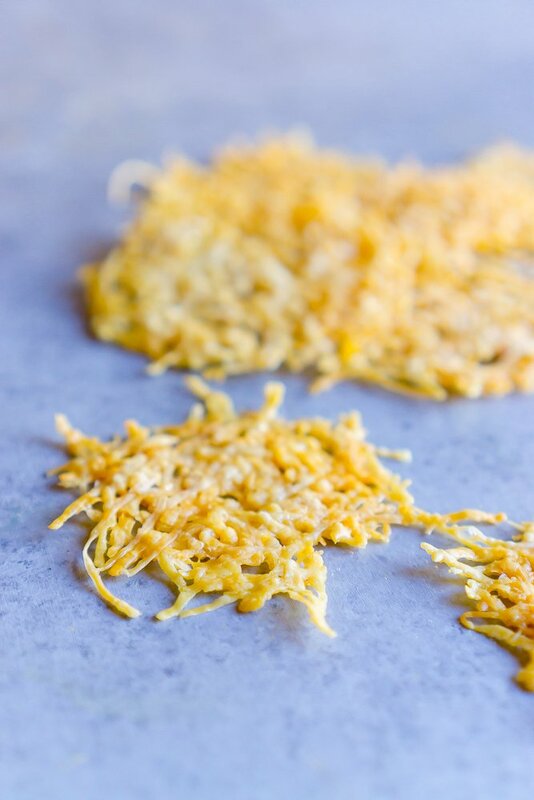 Easy Baked Parmesan Crisps – Baked Frico Recipe – crispy, crunchy parmesan chips that are perfect for low carb keto snacking! If you’ve taken up a low carb diet (like I am trying to stick to, thanks to watching my husband’s runaway success since going keto), you might know how much it’s very real to mis crispy, crunchy, and delicious salty crackers. There’s only so many nuts I can eat for a snack – sometimes I just crave something crispy and crunchy. I also really miss having non-vegetable things to dip! These easy baked parmesan crisps are simple and easy – and are perfect for snacking on when you need something crunchy, or when you need a sturdy cracker for dipping! 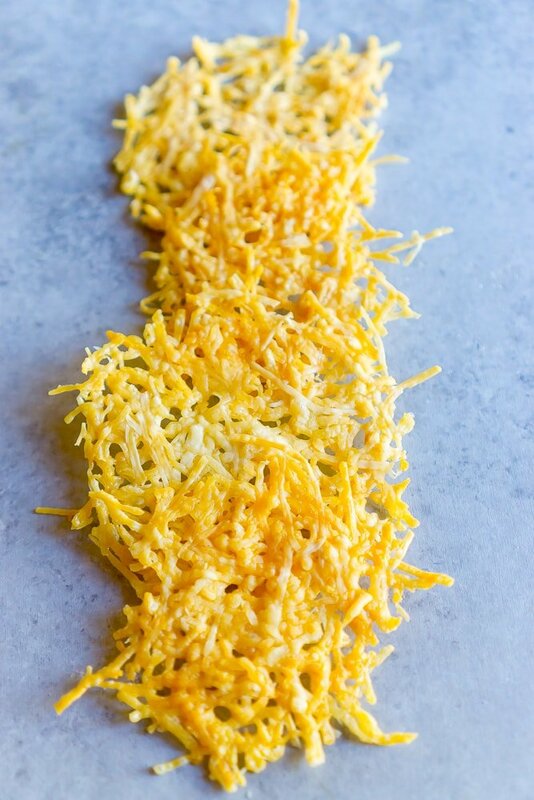 If you love parmesan cheese, you’re going to LOVE these easy keto crisps! If you’d like to get straight to this easy and delicious crunchy baked parmesan crisps recipe, scroll to the bottom of the page right before the comments. 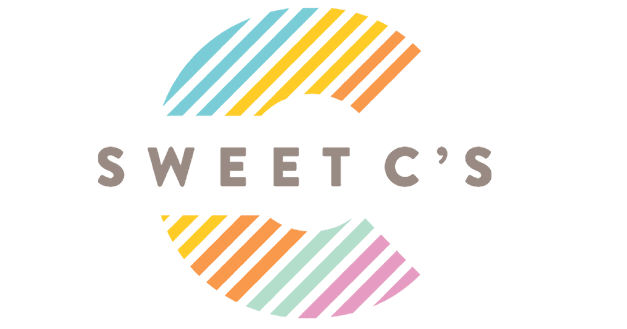 I get a lot of questions, so I try to add lots of helpful tips and tricks to my posts! If you’re on a keto diet – you’ve probably already scoured the internet for a delicious, crunchy, and crispy baked keto cheese cracker recipe like I did! If you’re looking for something simple that you dont have to measure, mix, or slave over – you’re in the right place. Since fricos are made from cheese, and only cheese, they are naturally low carb and fit into macros perfectly! Fricos are thin, crisp crackers made out of cheese. 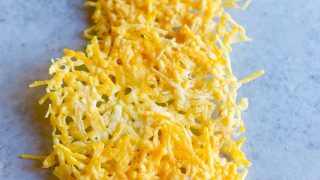 In Italy, they are typically made from Montasio cheese – but cheddar, asiago, and parmesan are perfect for making thin, crunchy fricos as well! Fricos are perfect because they are simple and easy – plus they involve just one ingredient (unless you’d like to try adding chives, herbs, or salt and pepper) – plus it doesn’t take any fancy equipment to make these delicious, addictive, and simple keto crunchy baked cheese crackers! 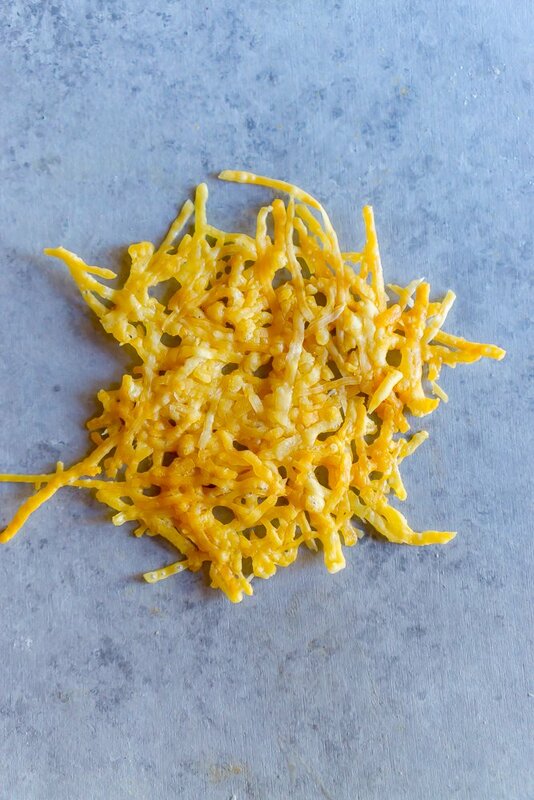 These easy keto cheese crackers couldn’t be easier – place shredded cheese on a silpat or parchment paper and bake! It is important to let fricos cool completely before eating to get a crunchy, crisp texture. Before these keto cheese crackers set, however, you can lay them on a rolling pin to shape them like a taco shell (perfect for keto tacos!) or over a bowl for a mini bowl shaped cracker you could fill with soft cheese, dip, or even vegetables! These easy baked parmesan crisps are so easy and simple – they don’t require fancy equipment or tons of ingredients! This is seriously one of my easiest recipes on site – you only need a few things for perfect keto cheese crackers! If you love this easy baked parmesan crisps recipe as much as I do, please give it a five star review and help me share on facebook and pinterest! 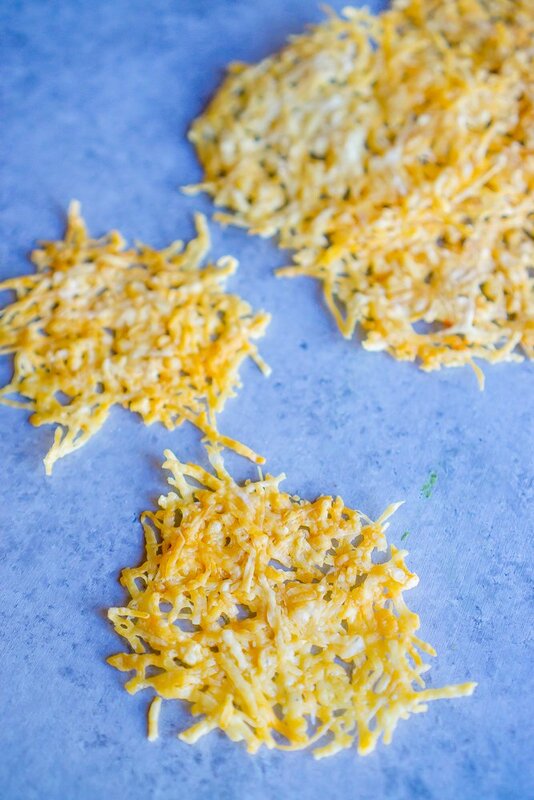 Easy Baked Parmesan Crisps - Baked Frico Recipe - crispy, crunchy parmesan chips that are perfect for low carb keto snacking! Add parchment paper or silpat to baking sheet. Make small, flat piles of cheese in round shapes on parchment paper or silpat. Take care to give them a little room to spread without touching. Optional - season with salt and pepper, garlic salt, or other seasoning or herbs. Place in oven with light on, and bake 8-12 minutes, until melting and very slightly browned. Remove crisps from oven and let sit until completely cool.